Their question was not really a question. It was an accusation. 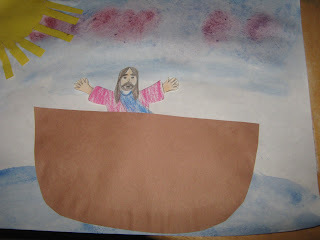 They were actually telling Jesus that He did not care if they drowned. They were charging the Son of God with a lack of compassion. This outrageous attack on Jesus is consistent with mankind’s customary attitude toward God. God has to listen to complaints like these from an ungrateful humanity every day. Jesus controlled the fierce forces of nature by the sound of His voice. He didn’t say a prayer, He uttered a command. Instantly nature obeyed. The wind heard the voice of its Creator. Once the danger passed and the sea was calm, it would seem that their fear would vanish as suddenly as the storm. It didn’t happen that way. Now that the sea was calm, the fear of the disciples increased. How do we account for that? It was the father of modern psychiatry, Sigmund Freud, who once espoused the theory that men invent religion out of a fear of nature. We are not able to plead with earthquakes, negotiate with floods, or bargain with cancer. So, the theory goes, we invent God to help us deal with the scary things. What is significant about this story in Scripture is that the disciples’ fear increased after the threat of the storm was removed. The storm made them afraid. Jesus’ action to still the tempest made them more afraid. In the power of Christ they met something more frightening than they ever met in nature. They were in the presence of the holy. We wonder what Freud would have said about that. Why would men invent a God whose holiness was more terrifying than the forces of nature that provoked them to invent a god in the first place? After Jesus calmed the storm, the disciples asked, “What manner of man is this, that even the wind and sea obey Him?” They were looking for a category to put Jesus in, a type that they were familiar with, but they were not able to categorize Him. He was sui generis—in a class by Himself. The disciples had never met a man like this. He was unlike anyone they had ever encountered. Jesus was different. He possessed an awesome otherness. He made people uncomfortable. Luke 5:1-7 tells the story of Jesus telling the disciples to throw their nets. The disciples, having fished all night without catching anything, reluctantly obliged. To their surprise, they caught so many fish that their nets began to break. If there was ever a time when the disciples displayed annoyance and irritation with Jesus, this was the occasion. Simon Peter was tired. He had been up all night and was frustrated by their lack of success in catching any fish. Jesus told him to put down the nets one more time. If Peter had real respect, he would have let down the nets without saying anything. Instead he found it necessary to register his frustration. We know how it turned out. 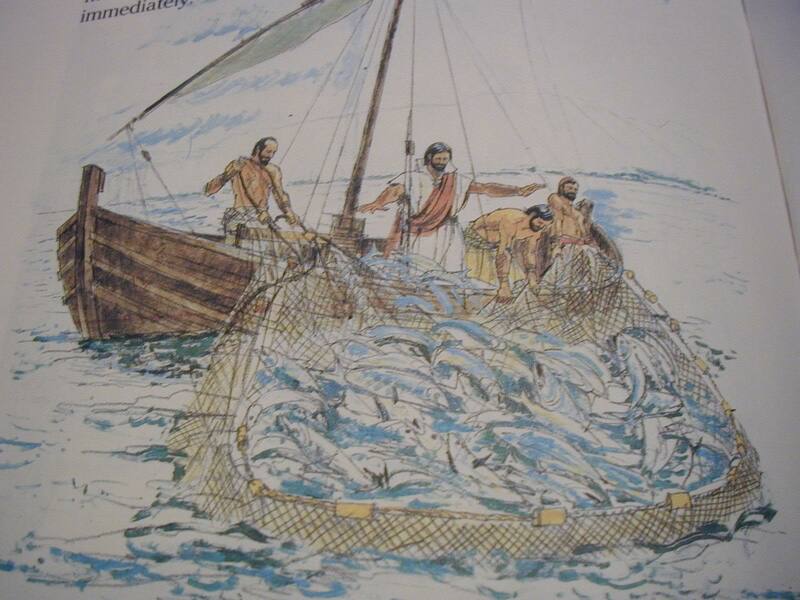 No sooner had Peter dropped the nets than it seemed as if every fish in the sea had jumped into them. They called for the other boat to come help them with the haul, and both boats were so full with fish that they began to sink. At that moment Peter realized that he was in the presence of the Holy Incarnate. He was desperately uncomfortable. Why did Peter want Jesus gone? Because he said, “I am a sinful man!” Sinful men are not comfortable in the presence of the holy. The cliché is that misery loves company. Another is that there is fellowship among thieves. But thieves do not look to hang out with police officers, so also sinful misery does not love the company of purity. Like Isaiah before him, Peter was undone. One of the strange facts of history is the consistently good reputation Jesus enjoys even with unbelievers—even people who are openly hostile to the church and critical of Christians. With all the applause Jesus gets from modern man it seems difficult to understand why His contemporaries killed Him. The Old Testament prophets also had a good reputation in Jesus’ day. They were great folk heroes from the past. Yet when they were alive they were hated, scorned, rejected, despised, persecuted, and killed by their own people. St. Stephen was the first Christian martyr, who was killed by a furious mob after he rebuked the Jews for killing the prophets and Jesus. We might expect these stinging words from Jesus to pierce the hearts of the hearers and bring them to repentance, but they became angry and killed him instead. There is a book called The Peter Principle (which has nothing to do with Simon Peter) by Dr. Lawrence J. Peter and Raymond Hull that has become popular in the business world. It says that people tend to rise to their level of incompetence in corporate structures. This was based on the observation that new employees typically start out at the bottom, and then as they display competence, they are promoted. Eventually, they reach a level in which they are no longer successful, and they are stuck at that level of incompetence. The net result is that most of the higher positions in corporate structures will all be filled with incompetents. Not everyone gets caught in the trap of the Peter Principle. There are two categories of people who escape the trap: the super-incompetent and the super-competent. The super-incompetent person has no opportunity to move up to his level of incompetence because he is already at his level of incompetence. Competency is needed to be promoted, and the super-incompetent will never be promoted, but will be weeded out of the organization early. The real irony is found in the super-competent group. How does the super-competent person rise through the corporate structures to get to the top? He doesn’t. The reason is that he represents a massive threat to those above him. His bosses are frightened by him, fearful that he will take their jobs. He represents a clear and present danger to them that they will lose their seats of honor and power. The super-competent is more likely to be fired than the super-incompetent, because the boss can most likely find a job that the super-incompetent can do. The super-competent person succeeds not by moving vertically up the corporate ladder but by making jumping moves from one organization to another, moving higher up as he goes. It is easy for to dismiss this theory. We can point to countless examples of people who have had meteoric rises in companies and reached the very top. There has been more than one CEO who started in the company as a stock boy. However, these dramatic Horatio Alger rags-to-riches stories are the exceptions that prove the rule. Whatever the true statistics are, the indisputable fact remains that there are numerous occasions where the super-competent person is frozen at a low level because he threatens those above him. Jesus Christ was the ultimate super-competent. The outcasts of society loved Him because He paid attention to them. But those who held seats of honor and power could not tolerate Christ. The Pharisees were a religious sect started by men who had great zeal for the Law. The word Pharisee literally meant “one who is separated.” The Pharisees separated themselves unto holiness. The pursuit of holiness was the chief business in their lives. If any group should have rejoiced when the holy appeared it was the Pharisees. Through their singular devotion to the pursuit of holiness, the Pharisees achieved a level of popular respect for their piety and righteousness that was without parallel. They had no peers. They were accorded the lofty praise of men. They could be seen practicing their virtue in public places. They fasted where everyone could see them. Their “holiness” was plain for everyone to see. Jesus’ denunciation of the Pharisees was severe. He criticized them for several counts of hypocrisy, for He knew that their holiness was a sham. Consider for a moment a few brief epithets that Jesus reserved for the Pharisees: “You snakes!” “You brood of vipers!” “Blind guides!” “Children of hell!” “Blind fools!” His words were uncharacteristically harsh, though not unjustifiably harsh. They were different from His usual style. The normal form or rebuke He made to sinners was gentle. He spoke tenderly, though firmly to the woman at the well. 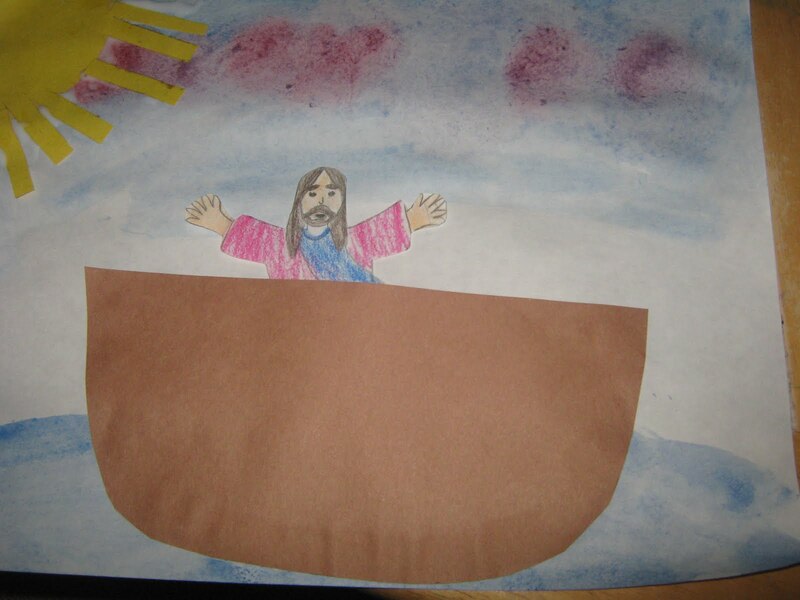 It seems that Jesus saved His severe comments for the big boys, the theological professionals. We might argue that the Pharisees hated Jesus because He was so critical of them. But the venom of the Pharisees went deeper than that. Nothing exposes the counterfeit faster than the genuine. When authentic holiness appeared, the counterfeiters of holiness were not pleased. The Sadducees had the same problem with Jesus. Sadducee was taken from the Jewish word for “righteous.” If the Pharisees considered themselves to be the holy ones, the Sadducees claimed to be the righteous ones. With the appearance of Jesus, their righteousness took on a luster of unrighteousness. The resentment of the Pharisees and Sadducees toward Jesus began as a petty annoyance, moved to the level of a smoldering rage, and finally exploded in vehement demands for His death. When Jesus calmed the storm on the Sea of Galilee, they were unable to find a category for Jesus and could not answer their own question: “What manner of man is this?” The Pharisees and Sadducees had a ready answer. They created categories for Jesus: He was a “blasphemer” and a “devil.” He had to go. The super-competent had to be destroyed. The threatening power of Christ’s holiness is now transferred to His people. As the Jews at Mt. Sinai fled in terror from the dazzling face of Moses, so people today get uncomfortable in the mere presence of Christians. People feel trauma in the presence of the holy. Holiness provokes hatred. The greater the holiness, the greater the human hostility toward it. It seems insane. No man was ever more loving than Jesus Christ. Yet even His love provoked men to anger. There is a well-known story in American literature that is about a love that destroys. It is a freakish love, a love so intense that it crushes the object of its affection. Some suggest that the famous character Lennie, in John Steinbecks’s Of Mice and Men, was in fact a Christ figure. Lennie is a giant of a man, but he is retarded and is virtually helpless without George, who takes care of him and speaks to him in the simplest of terms. Lennie loves little, furry animals, but he has a problem—he doesn’t understand his own strength. When he picks up a field mouse or a rabbit, he unintentionally kills them by squeezing them to death. 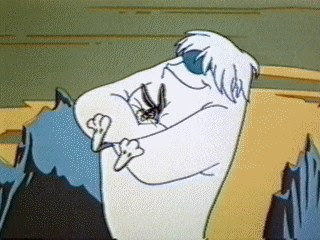 If this sounds familiar, Lennie’s character was also the basis for the Abominable Snowman from the old Bugs Bunny cartoons. "I will name him George, and I will hug him, and pet him, and squeeze him!" The climax of the book is when Lennie finds himself alone with the foreman’s wife and unintentionally kills her. It was one thing for Lennie to kill mice, quite another to kill people. This time his strange quirk had gone too far. George led Lennie away and shot and killed him. “A guy got to go sometimes,” was the line from the book. People who crush other people cannot be tolerated. George had no alternative. He knew Lennie could not survive in the world. Lennie had to die. Lennie traumatized everyone and everything he touched. So it was with Christ. The world could tolerate Jesus; they could love Him, but only at a distance. It was the judgment of the High Priest that for the good of the nation, Jesus must die.